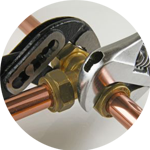 If you are looking for a plumber in West London, look no further! The Handy Squad can be seen all around West London in their unmistakable yellow scooters, ready to give a helping hand to those with any potential plumbing issues. 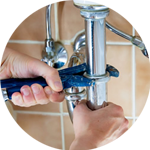 We have been helping Londoners since 2005 and completed each task with precision and within a timely manner, so why not give your local West London plumber a call? 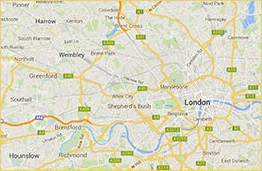 West London is made up of the boroughs of Hounslow, Harrow, Hillingdon, Ealing, Brent, Hammersmith and Fulham and Kensington and Chelsea. The area is very diverse, stretching from bustling Kensington to suburban Acton. It is home to Notting Hill, which stages a yearly carnival that attracts up to 1.5 million people. The main shopping areas include the Broadway Shopping Centre and Kings Mall Shopping Centre. West London is also known for its football teams, such as Chelsea and Fulham and it is home to the world-famous Wembley Stadium as well as the busy London Heathrow Airport. 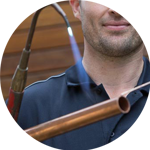 You can be rest assured that if you live in any of the areas of West London, our team will be ready to resolve any potential plumbing issues with ease. 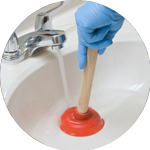 We offer all the services you might require, from unblocking shower drains to replacing cartridges or washing machines. If you are looking for other handyman services, our Handyman London team offers electrician services, jet washing, home makeover services, moving services and much more.